The MoonCup is one of the most well-known period cups in the world today. They’re well-known for good reason-they’re one of the most highly rated menstrual cups and most people who use the MoonCup seem to love it. They have some excellent user ratings over on Amazon, and many people who start with the MoonCup end up sticking with it for the rest of their lives. It really is that good, especially if you follow these quick tips for getting started with it. Moon Cup has been around for many years and is one of the most well established menstrual cup companies. They manufacture their cups in the UK from the highest quality medical grade silicone according to the strictest standards. This ensures that the product you’re putting inside your body for up to a week of each month is a good one! Trust us on this one-you are much better off spending a few extra bucks and getting yourself a top-quality cup like the Moon Cup, Lunette Cup, or Diva-Cup than wasting your money on a cheap menstrual cup from China. If you need more information to help you make the best decision about what’s right for you, see our full Moon-Cup Review. We give you all the details, unbiased and straight-up so you can make the most informed choice about whether or not this sanitary cup is for you. If you consider shape, capacity, length, diameter, etc., the Moon-Cup is very similar to the Diva-Cup. You really can’t go wrong with either cup actually. For the complete showdown, see: Diva Cup vs Moon Cup. But the big difference for you in NZ is availability. Diva Cup generally sells their menstrual cup on Amazon and at brick and mortar stores. Most people don’t order the Diva Cup directly from the company website. However, Moon Cup sells the product directly from their website, with free worldwide shipping. We love that, which is why we recommend MoonCup NZ for you! 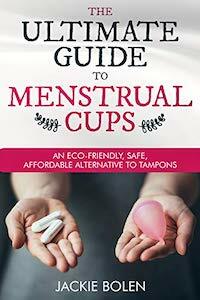 It’s an excellent option if you live in a country where it’s difficult to find menstrual cups. The best place to get the MoonCup in New Zealand is directly from their website. It costs around 25 British pounds and shipping is free to NZ. While there is no tracking, shipping is usually pretty reliable and MoonCup offers some really solid customer service. For an additional 6 pounds, you can get tracking added to your order. In your package are the cup itself, instruction book, and a cloth storage pouch. An awesome menstrual cup at a great price, with free shipping and a hassle free experience? That’s always a winner here at Reusable Menstrual Cups and we give Moon Cup NZ our 100% go for it recommendation! p.s. From Australia and want to get a MoonCup? Check out MoonCup Australia. Leave a comment below and let us know where you can buy a menstrual cup in New Zealand.